We have an option for everyone! Join our Wash Club by prepaying for your car washes and save 20%! Purchase a gift card as a treat for yourself or someone special! Click the “Buy Now” button below and type in the amount that you would like to spend. Your card will be shipped to you! You put your car through a lot, so why not put it through a custom car wash? Zelo Car Wash is a premier car wash company that serves the greater Centennial area. We offer various options to clean your car inside and out, from top to bottom. We provide the gentlest, safest and most effective system for protecting your investment in the vehicle that you drive. Keep your vehicle in the garage whenever possible to avoid exposure to pollutants. Even if you wash your car yourself with a bio-friendly soap, just hosing off the wheels and body dislodges contaminants that end up in rivers, streams and lakes. You need to wash your car promptly after it rains or snows because the pollution delivered in the drops of water can chemically damage the paint and clear coat layer. Exposure to road oils, sun rays, tree sap, bird droppings and other various pollutants in the environment in Centennial deteriorate automotive finishes. The best way to help prevent permanent damage is with regular washing. At Zelo Car Wash, we utilize the most effective cleaning materials in the industry to remove dirt safely while protecting the finish and enhancing the shine. 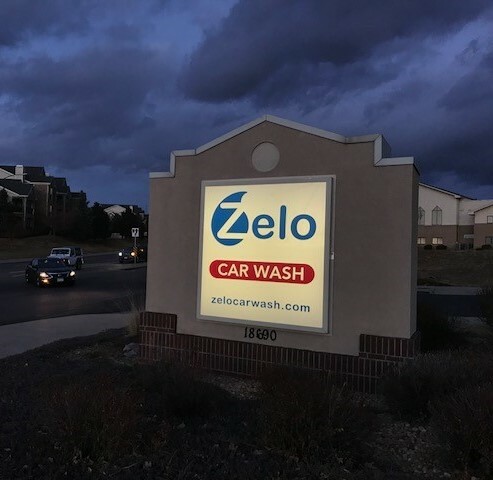 For more information about Zelo Car Wash and the services we offer Centennial, please contact us today at (720) 243-2354. We are happy to answer your questions. All information provided is provided for information purposes only and does not constitute a legal contract between Zelo Car Wash and any person or entity unless otherwise specified. Information is subject to change without prior notice. Although every reasonable effort is made to present current and accurate information, LinkNow™ Media makes no guarantees of any kind.